All parts show on this page, are custom orders. Please contact us to order any of them. These trigger levers are often missing, worn out, or rusted beyond use. 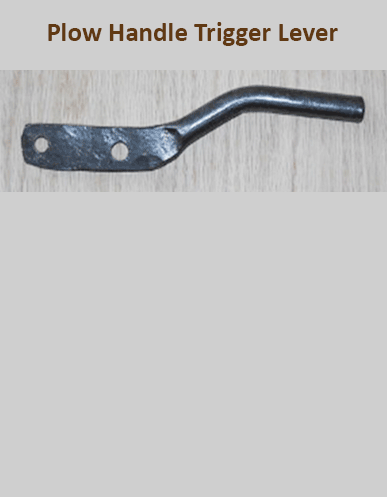 We have carefully reproduced them with the correct gauge steel and overall shape. 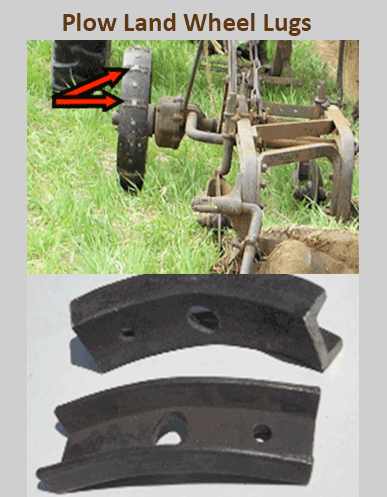 These fit almost every John Deere plow built during the two-cylinder era. Note: Better shipping rates available on large orders. There were 12 of these lugs used on each land wheel, on a 26" diameter wheel. These are often completely worn off or missing. We sell the support hose assembly and the hose clamp unit with collar and set screw. 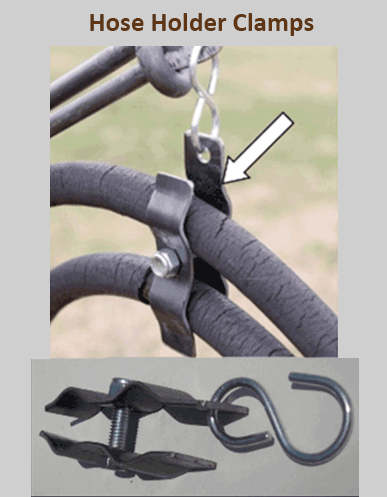 The hydraulic hose holder clamps consists of 3 parts: the S-hook (Part #12912A), short clamp (Part #30010A), and long clamp (Part #30009A). 1: This linkage rod replaces Part #19830A. It is approximately 28 1/2" long. Linkage #19829A is also available. 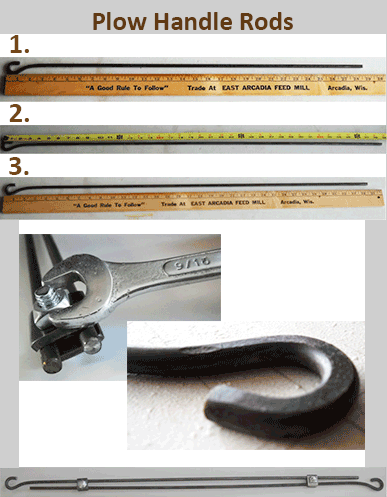 It is 28 1/2" long and is the lower rod in the assembly (flattened loop). 2: This linkage rod replaces Part #22870A. It is approximately 34 1/2" long. 3: This linkage road replaces Part #21626A. It is approximately 38 1/2" long. It is the lower rod in the assembly (flattened loop). 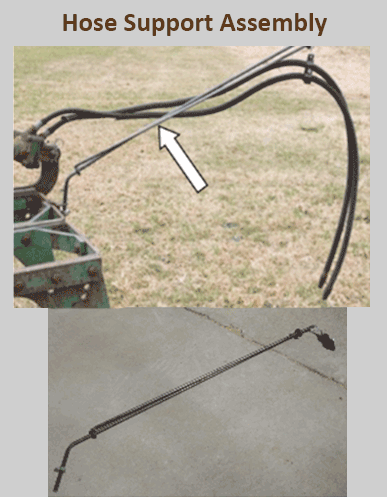 Note: Each plow comes with different sets of linkage rods to make the assembly, and are also different from the master lever to the leveling lever. 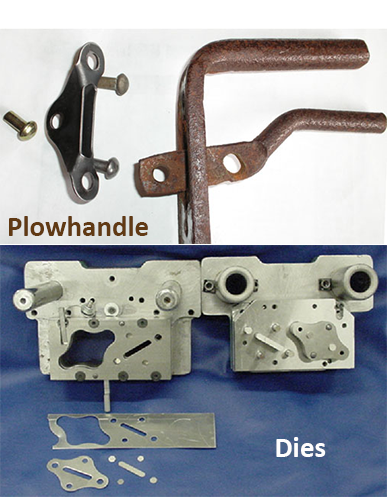 Let us know plow model or a length measurement to ensure correct parts.